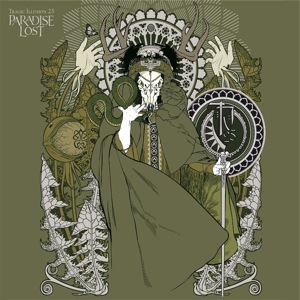 Throughout the 25 years of their existence, British gothic-doom metal band Paradise Lost have not only put out some great music, but have been able to explore a diverse range of musical styles and tendencies, all while still keeping their artistic integrity. Their most recent studio album ‘Tragic Idol’ turned out to be an excellent offering of dark, heavy music by all means, with stellar tracks like ‘Crucify’, ‘Honesty In Death’, ‘To The Darkness’ and many others.’ This year they are celebrating their 25th anniversary with the release of the ‘Tragic Illusion 25 (The Rarities)’ compilation, which is a collection of the B-sides and rare tracks they put out over the years. The package also includes re-recordings of two old tracks and a brand new track. A week ago, I spoke to guitarist Greg Mackintosh to discuss this release among other things. Read the conversation below and check out the new track ‘Loneliness Remains’. Greg, it’s good to have you again on Metal Assault. In this interview I’ll mainly talk to you about the new Paradise Lost release, the ‘Tragic Illusion 25 (The Rarities)’ compilation which is releasing on October 29th via Century Media Records. First thing I want to ask you is, how did the idea for this come about and what’s the reasoning behind this release? Well, the idea initially came from Century Media. Those people were telling us that we’ve been a band for 25 years and that it would be cool to do something to mark the 25 years. A lot of our B-sides and rare stuff are really good tracks that should have been on albums, so we thought we can put those together and make it a special release by re-recording a couple of the older tracks, the idea behind that being to try and almost school fans on where we came from because a lot of people might not know the history of where we started from. And also, we wrote a totally new song to put on there, to make it even more worthwhile and to sort of bridge the gap between the past and the future. So it’s a combination of two things, the idea came from Century Media and then we kind of shaded it. 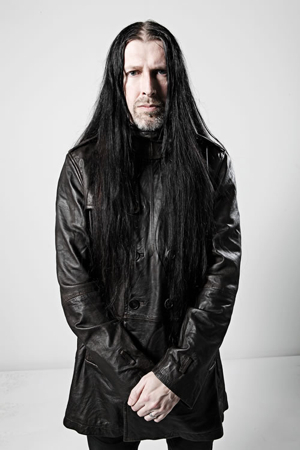 As you said, you’ve re-recorded a couple of old tracks (‘Gothic’ and ‘Our Savior’) and you’ve included a new track called ‘Loneliness Remains’. I think that’s important for a compilation release. Bands often just put together the old songs and put it out. But then people don’t really have any interest unless there’s actually something new to look forward to in the release. Yeah, this is very much a collectors’ record, I would say. We’re not putting it out to try and get new fans or anything. This is specially for the collectors and the fans, to put all these songs in one place and in one time, tracks that we wish had made it on to the record. I think it’s nice to put it all in one package and like you said, we re-recorded those two old tracks. Those are not meant to improve on the originals because they have that charm of that time when they were recorded. It’s just something to show where we came from and to prove that we can still do what we want to. So we put it all together and got the cover artwork done by a guy named Valnoir. We asked him to incorporate little things from the artwork of each of the albums we’ve done. That’s pretty interesting. And I believe this release is only coming out digitally in North America and on physical formats in Europe, right? I think so. I know there are some limited edition 10″ vinyl in some areas as well. It wasn’t meant to be a huge album release. Like I said, it’s a collectors’ thing for the fans, and it’s all to tie in with our 25th anniversary. We’re doing a two-three week tour in UK and Europe, and even that initially was meant to be only one show in London. So it’s all kind of spiraled to this because of Century Media wanting us to do something special for the 25th anniversary. It just started out as us going to a pub for a drink and it turned into a record release and a small tour! This is obviously a follow-up to ‘Tragic Idol’ which came out last year. The album is fantastic and it was received very well by fans, and I think you even gained new fans with it. That must be a good feeling, to put out such a relevant album in 2012, after all these years of being a band. Yeah, I think that’s one of two reasons really why we continue to exist. One is because people tell us that our music is still relevant in the metal scene, and the other reason is that we still enjoy doing it. Otherwise I don’t really imagine continuing. If for some reason we feel what we do has nothing to say anymore or we don’t enjoy it anymore, that would be the time to give up, you know. That’s true. Recently also, your ‘Icon’ album which came out in ’93 completed 20 years on September 28th. I was listening back to it that day just to kind of reminisce, and I thought it had a lot of similarities with ‘Tragic Idol’. So, in a way you came full circle on Tragic Idol in terms of the actual music. I think so! That wasn’t an intentional thing, it’s just how the music kind of gravitated towards over the last few years. But yeah, if someone asked me what Tragic Idol most resembles from our back catalog I’d have to say Icon, because it’s not over-polished or anything and it’s got a lot of those trademark melodies. So yes I would agree with that. We talked about the fact that there’s a new track on this compilation. Is that an indication of the future musical direction, or is it just a one-off and the new album will be completely a fresh start? I think it’s kind of an indication. We never like to write on the road, we like to finish doing our touring stuff and then sit down and think where we want to go, because an album is like a snapshot. It’s just what we’re about at that point of time. So if you’re writing too far ahead, it’s not relevant to what you’re about at that time. So when we recorded this track, it was kind of like where we were heading towards, musically. So it’s an indication, I would say, of what we’re starting to do after this 25th anniversary tour. Talking of this 25th anniversary tour, will the set list also be a reflection of the 25 years? It’s going to be quite a different set list from the Tragic Idol tour. We’ve been rehearsing over the past few weeks because there are quite a few songs in the set list that we haven’t played for 20 years or more. It’s kind of interesting to re-rehearse tracks that I have no recollection of recording, you know. So yeah, it’s going to be a varied set, with something from every point of our career, I think. Do you intend to take this tour beyond Europe as well in the next year at all? Well, we’re not planning to. Like I said, it was intended to be a one-off show and it’s already spiraled into something it wasn’t meant to be. But the plan is just to do these 2-3 weeks in Europe and then concentrate on writing a new record. The tracks that we’ve been rehearsing for this 25th anniversary tour, we won’t be surprised if some of them start to creep into the set lists when we tour worldwide next year, because these songs are more interesting than we remembered them to be! The tour talk reminds me, the last time we talked was in 2012 when you were just about to go on a North American tour with Katatonia and Devin Townsend Project. Those two bands are also very like-minded in the sense that they are not afraid to explore their musical boundaries and stuff like that. How was tour for you? It was good! It was really easy. 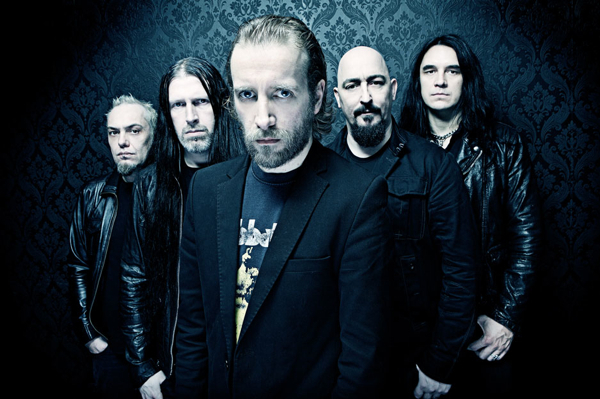 Devin’s band is so laid-back and Katatonia we’ve known for many years and done many tours together. So it was very easy to get along with everyone. I think Devin was definitely on the up at the point when that tour was happening, and brought a lot more people into the shows. It was quite an eclectic audience because of the three bands involved. We had a lot of fun on it! Obviously, there is nothing confirmed yet because you haven’t announced anything, but is there something in the works for North America next year or sometime soon? Well, the plan is to start writing again after this 25th anniversary tour and we’re supposed to be recording in June next year. So, we’ll be ready to tour again in the early fall of next year and if you’re looking out for us to tour North America, it would probably be around that time. It’s one of my favorite places to tour, purely because I have such a good time over there, you know. Finally, I would like to ask you one thing. Heavy metal has always had its home in the UK, back since the ’80s. I think even now, bands like Iron Maiden are going strong, Carcass have put out a fantastic new album, and bands like Saxon, Orange Goblin and Onslaught are going great. Nothing has really changed in that regard. Being someone from the UK itself, would you agree that UK is still delivering all the great metal that it always used to? I think it does still deliver some good metal, although I don’t think the home crowd necessarily sees it as much as people do overseas. If you’re a Finnish band in Finland, people are behind you. But the UK is not necessarily like that. We don’t have the radio like you have in America. There is an outlet for every type of music on the radio in America. In the UK there is no outlet for these things, really. It’s still very much a sidelined thing in England. It’s still not appreciated as much as it should be, I think. Yeah, I was talking to Jeff Walker from Carcass and Ben Ward from Orange Goblin about this, and they were saying the same thing. So you really have more of a home outside of home in the sense of your popularity in America and other places in comparison to that in the UK. I just think it’s because England, at least for the last few years, has been very, very trend-oriented. As soon as the next thing comes along, people move on to it. Metal historically is more of a long-term commitment, if you know what I mean (laughs). So I just think it’s a sign of the times in the UK. It always comes around again, so I’m sure at some point it will become trendy to be into metal again in England and metal will come to the fore again.